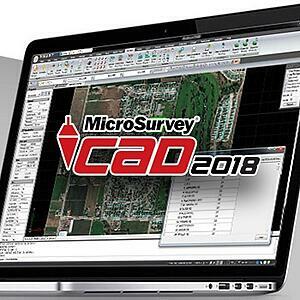 Based on IntelliCAD version 8.4, the new release of MicroSurvey CAD 2018 includes support for version 2018 .dwg files, Esri® Shapefile import, Trimble® JobXML file import, and 3D point labels. MicroSurvey CAD is a complete survey drafting toolkit available with a perpetual license and includes support for COGO, DTM, traversing, adjustments, volumes, contouring, and more. New features of MicroSurvey CAD 2017 include: smart polylines, smart point blocks, Microsoft® Bing® maps integration, cloud storage integration, and much more. MicroSurvey CAD 2017 is powered by the IntelliCAD engine and is a desktop survey and design program for land surveyors and civil engineers. It is available at five feature levels: Basic, Standard, Premium, Ultimate, and Studio. For more information and to download a free demo version of MicroSurvey CAD 2017, visit www.microsurvey.com/2017. 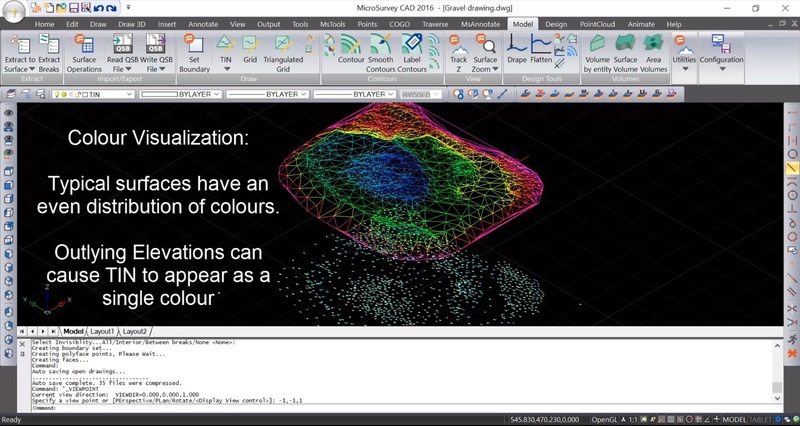 Interested in seeing how IntelliCAD is used for surface modeling and contours? ITC member MicroSurvey released several related videos for MicroSurvey CAD 2016, which is based on IntelliCAD. For more details, see http://helpdesk.microsurvey.com/index.php?/News/NewsItem/View/232 and http://www.microsurvey.com/downloads/movies/mscad.htm#Movies_Contours. MicroSurvey will be attending the INTERGEO 2016 conference and trade fair for geodesy, geoinformation and land management. You can find MicroSurvey at booth A1.079 on October 11–13, 2016 at the trade fair in Hamburg, Germany. 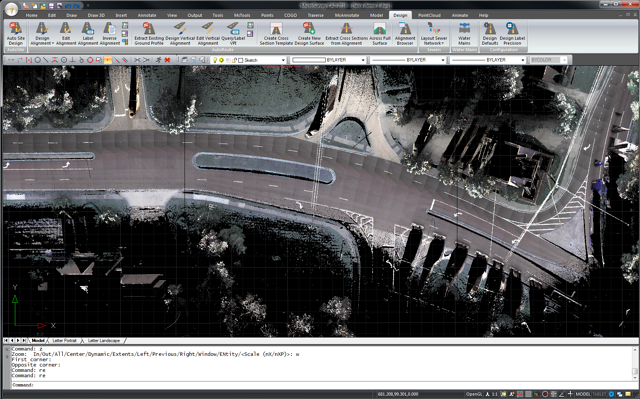 MicroSurvey bases its many software solutions on IntelliCAD and is a member of the IntelliCAD Technology Consortium. MicroSurvey Software Inc. — member of the ITC — delivers its many IntelliCAD-based applications to land surveyors, civil engineers, seismic surveyors, mapping professionals, police officers, and accident reconstruction specialists. There are many different CAD development platforms available, but year after year MicroSurvey chooses IntelliCAD because it is the only open source, non-profit, cooperative CAD development platform. To learn more about how MicroSurvey benefits from ITC membership, go to https://www.intellicad.org/microsurvey-case-study. MicroSurvey Software, member of the IntelliCAD Technology Consortium, announced the release of MicroSurvey CAD 2016. MicroSurvey CAD 2016, powered by the IntelliCAD 8.1a engine, is a desktop survey and design program for land surveyors and civil engineers. For more information, visit http://www.microsurvey.com/news/15-12-MSCAD2016.htm. Portland, OR, USA, March 23, 2011 — The IntelliCAD Technology Consortium (ITC) today announced the beginning of IntelliCAD 7 Public Beta user registration. Interested IntelliCAD users can contact ITC members to receive details about the Beta program and about using the much anticipated IntelliCAD 7 software. Previous Beta versions were available only to ITC members. IntelliCAD 7 represents the culmination of a fundamental overhaul of the entire IntelliCAD code base undertaken by the ITC and its membership. It incorporates a complete new architecture based on and synchronized with the latest Teigha® software development platform from the Open Design Alliance, another member-driven, nonprofit organization of over 1,000 software developers in 40 countries. There has been much industry speculation as to the current status of the ITC and IntelliCAD 7 in particular since IntelliCAD 7 was first announced. Although the ITC and this project have been negatively impacted by unforeseen factors, ITC membership remains strong and stands exceptionally committed to its mission of perpetuating IntelliCAD as the CAD platform that offers the best combination of performance, security, and value to both member companies and their customers. Users of products based on IntelliCAD who are interested in participating in the IntelliCAD 7 Beta program should contact ITC member companies to coordinate details. Companies interested in more details about IntelliCAD 7 and membership in the ITC should contact the ITC directly. For more information about IntelliCAD and the ITC, including case studies, please visit http://www.intellicad.org/. The IntelliCAD Technology Consortium licenses the IntelliCAD technology to its commercial members, who in turn market and sell applications based on IntelliCAD to their end users. The IntelliCAD Technology Consortium is an independent organization of software developers established specifically for the development of the IntelliCAD technology. Commercial members have access to the IntelliCAD source code, documentation, developer support, and more. For additional ITC news and information, visit the company web site (http://www.intellicad.org/) or call 1-503-293-7655. 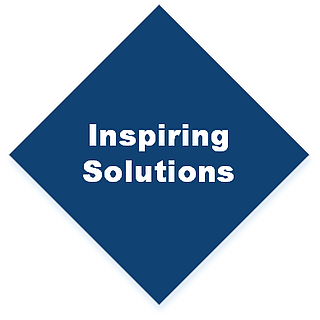 Carlson Software, an independent company founded in 1983, develops software solutions to bring land development professionals from concept to completion. The 25-year-old company is known for its civil, surveying, machine control and positioning, plus mining software solutions. For more details, visit the company’s web site at http://www.carlsonsw.com. MicroSurvey Software Inc. has been developing software and hardware solutions for surveying and mapping for over twenty years. MicroSurvey Software is a two-time winner of PROFIT Magazine's 100 Fastest Growing Companies and a winner of Deloitte Technology's Fast 500. For more details, visit the company’s web site at http://www.microsurvey.com. Portland, Oregon - October 20, 2009 - The IntelliCAD Technology Consortium (ITC) (http://www.intellicad.org/) announced today the release of IntelliCAD 6.6, supporting newly released ITC member products with advanced graphics technology and quality enhancements. The ITC is a unique organization whose member companies jointly contribute to the development of the IntelliCAD CAD platform. During the research and development of the new IntelliCAD release 6.6, development teams from several ITC members cooperated to design the new high performance algorithms that boost the efficiency of all member products. "Our customers are creating and editing larger and more complex drawings." said David Carlson of Carlson Software. "In response, our engineering team worked with customers to identify and remove performance bottlenecks encountered with large IntelliCAD drawings. These improvements are built into the new Carlson 2010 release. In addition, since the IntelliCAD Technology Consortium is an open source community we were able to integrate it into the IntelliCAD R6.6 code in such a way that the products of other ITC members will benefit from this effort. This sharing of resources between members makes a lot of sense from our perspective." When asked about this latest release, David Lorenzo, ITC Development Director, commented, "The IntelliCAD 6.6 release provides a major improvement in quality through new error reporting tools and technology we have been building over the past few years. These error reporting tools have been revolutionary in enabling us to more quickly respond to customer issues." ITC members worldwide have been swift in integrating the new IntelliCAD 6.6 into their products. "We developed the new YellowCAD product on IntelliCAD as a professional alternative to AutoCAD LT® for all generic 2D/3D applications," stated Jean Denis Heymann, Sales Manager at YellowCAD. "We believe that the price of technology should no longer be an obstacle to designers and draftsmen." Customers making the switch from other CAD systems to IntelliCAD have benefitted from the new release. 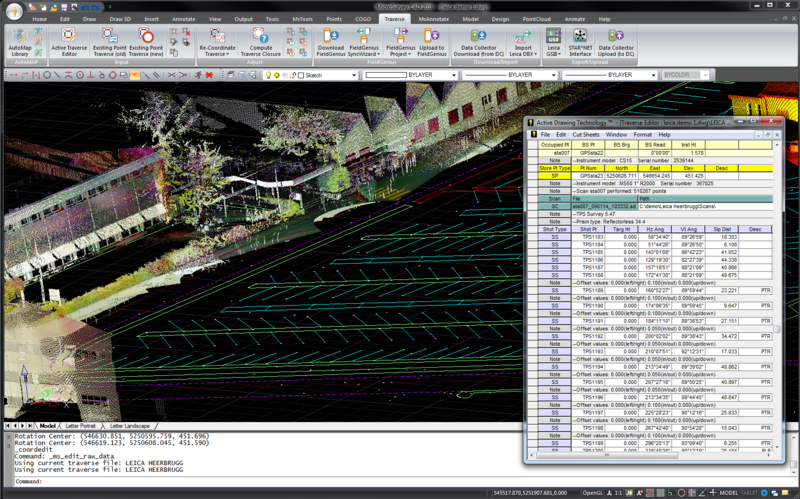 "For nearly 25 years, our customers have depended on MicroSurvey products to compute and draft their surveying and engineering projects," stated Darcy Detlor, CEO of Microsurvey Software, Inc. "In 2004, MicroSurvey switched to the IntelliCAD platform and today is delivering MicroSurvey CAD 2010 based on IntelliCAD R6.6. Release 6.6 represents the fastest and most reliable IntelliCAD platform yet and our customers are benefitting directly from the increased performance in reading, creating and viewing .dwg file drawings." About the IntelliCAD Technology Consortium: The IntelliCAD Technology Consortium licenses the IntelliCAD technology to its commercial members, who in turn market and sell applications based on IntelliCAD to their end users. The IntelliCAD Technology Consortium is an independent organization of software developers established specifically for the development of the IntelliCAD technology. Commercial Members have access to the IntelliCAD source code, documentation, developer support, and more. For the latest ITC news and information, visit the company web site (http://www.intellicad.org/) or call 1-503-293-7655.